It is easy to become overwhelmed during the search for addiction treatment. The search for addiction rehab often occurs during a life-threatening substance use problem, a family crisis, or an urgent need. Fortunately, with the right information, you can make a good decision. Choosing an addiction treatment program can seem overwhelming due to the vast number of choices available. There are certain advantages to each type of rehabilitation treatment. Residential rehab, also known as inpatient rehab, is a very successful approach to treatment, especially in the early stages of recovery. The first stage of addiction treatment, medically supervised detoxification is a huge benefit of residential treatment. Around-the-clock care helps ease withdrawal symptoms and ensures that the individual’s body systems are healthy and working properly. Often, substance use leads to severe neglect of health and nutrition. Residential care offers nutritional support, health monitoring and wellness options that outpatient treatment cannot offer. Therapy is an important part of most addiction treatment programs. This can include talk sessions that help youbuild coping skills, view things in a new light and recover from old traumas or losses. 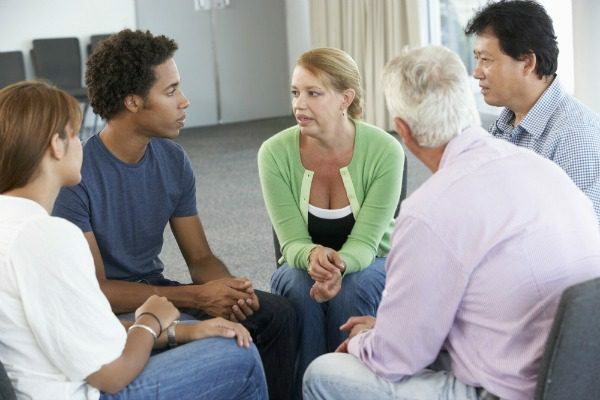 Counseling is designed to help you discover your authentic self and set healthy goals for life without drugs.Each person has individual needs in this regard, so just try to always be very honest with the counselor you work with and let us know what your mental and emotional needs are at any given time. With inpatient residential care, counseling professionals are generally always close-at-hand, with very little wait time. In addition, residential care offers group therapy in a safe space where you can connect to others who are on the same journey. Even difficult addiction situations can benefit from a supportive group of peers in the right environment. Group therapy is led by experienced and licensed mental health care and recovery professionals. Although not everyone requires medication assistance, medications can be used in treatment as needed. With inpatient care, licensed medical staff members are able to monitor your reactions to the medications that used in your treatment. They will note your honest opinions and physical response with any potential treatment, and will work alongside you to achieve great results. Also, if you have questions regarding the medication use or symptoms associated with it, the answers are right there on-site. Because drugs and alcohol are banned in residential (inpatient) treatment programs, it will be more difficult to relapse or connect to old acquaintances that may be living unhealthy lifestyles. Alcohol, drugs, and addictive activities will be extremely hard to come by in an inpatient setting. This advantage will greatly aid the detox process. It is important to plan ahead, because inpatient treatment does not last forever. Quality inpatient programs help each patient develop skills to resist relapse and temptation. Counseling, support, aftercare, and even step-down outpatient treatment are all designed to build a strong foundation for lasting recovery. The path begins during residential (inpatient) treatment. During treatment, you may determine that certain things that were common in your past are not an option for your future. One way that you can do this is by being open with your care team and supportive peers about the life that you had before rehab, being open to suggestions about what sorts of changes you may need to make to your environment and social habits after treatment. Residential care is the most beneficial approach to lasting wellness, with an entire team of professionals under one roof to provide 24-hour, comprehensive care. Anyone who struggles with addiction should consider inpatient care as a viable, life-saving option. 1 Outpatient Versus Inpatient Detoxification Program for Alcohol Dependent Patients Seeking Abstinence: The IN/OUT Study.” U.S. National Institutes of Health. Nov 2004. Web. 1 Jun 2017. 2 Drug Facts: Treatment Approaches for Drug Addiction.” National Institute on Drug Abuse. July 2016. Web. 1 Jun 2017.